Buying a home can be both an amazing and stressful process at the same time. But tackling the huge expense of a home in one fell swoop is often difficult for an individual or family to handle. That’s where mortgages come in. Typically in exchange for a down payment, a lender will grant you a mortgage loan to allow you to finance your home with an interest rate attached. A mortgage is a loan banks and private lenders issue to both individuals and businesses looking to purchase property. 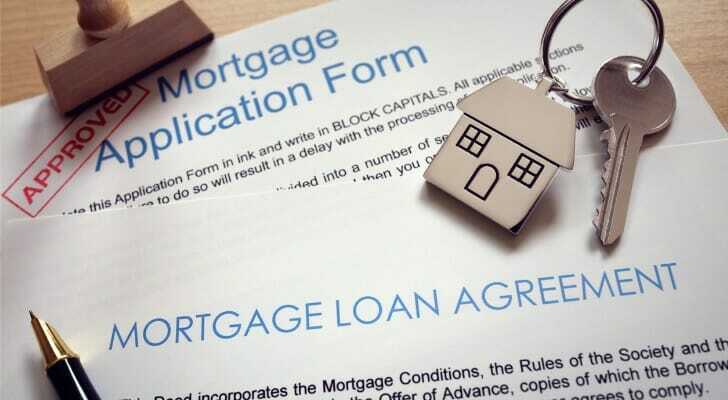 Similar to other types of loans, mortgages require monthly payments a process called amortization whereby you reduce the debt you owe over time. The interest rate you receive will be largely dependent on your credit score, as well as the size of your initial down payment. Additionally, if you stop paying your mortgage, the lender can foreclose on your home. Down payment If you were buying a house right now, how much could you afford to put toward its purchase? This is precisely what a down payment is. Down payment requirements vary from lender to lender and loan to loan, but they usually aren’t higher than 20%. Principal The principal balance associated with your mortgage is essentially the amount you owe the lender. Interest rate Lenders won’t loan you money for free. The interest rate you receive determines how much extra you’ll pay beyond just your principal balance. Closing costs Closing costs are administrative fees that must be paid when you close on your home. Some examples of these are inspection fees, origination charges and title insurance. Insurance Home buyers who come up short on their down payment will likely need to buy mortgage insurance. Depending on the type of loan you get, this could come in the form of private mortgage insurance (PMI) or government loan insurance. Once you’ve found your ideal home, you’ll have to complete a mortgage application in order to qualify for a loan. The application process asks questions about factors like your estimated down payment amount, employment, annual income, credit score, assets and debt. This helps the lender determine the maximum loan amount you can receive and the conditions under which you’ll receive it. Residential mortgages include two key forms. These are fixed-rate mortgages and adjustable-rate mortgages (ARMs). However, government-issued loans and jumbo loans are also common. A fixed-rate mortgage requires the borrower to pay the same interest rate throughout the duration of the loan. Because of this, homebuyers will be able to avoid fluctuating market trends. For the most part, this style of mortgage comes with either a 15- or 30-year term. Some lenders may have proprietary terms, though. 5/1 ARM The “5” indicates your initial rate will last for five years, while the “1” means your rate will reset every year. 7/1 ARM The same applies here, only the “7” indicates your initial rate will last for seven years. Aside from standard mortgage types, government agencies offer their own loans to homebuyers. Three key government agencies provide these services: the Federal Housing Administration (FHA), the U.S. Department of Agriculture (USDA) and the U.S. Department of Veterans Affairs (VA). FHA loans FHA loans are unique in that they allow homebuyers to pay just a 3.5% down payment, which is far below the standard 20%. The approval requirements for these loans are also much less stringent. In fact, even those who have gone bankrupt can get approved. USDA loans You can only attain a USDA loan if you’re looking to buy a home in a “rural area,” which is designated by the USDA itself. These fixed-rate mortgages often come with no down payment whatsoever. VA loans Because the VA offers these mortgages, they are solely available to military service-members, retired service-members and some surviving military spouses. VA loans are valid for up to 100% financing, meaning there’s no required down payment. Jumbo loans are non-conforming mortgages. This means that they don’t fall within the maximum conforming loan limits government agencies set. More specifically, loans for single-family homes are capped at $453,100. If your mortgage goes beyond those bounds, you need to apply for a jumbo loan. Mortgage bankers are the primary route that most Americans will take when seeking out a mortgage. There’s a wide range of companies that fit under this heading, including banks, credit unions and online lenders, like Rocket Mortgage and SoFi. These lenders can then be split into two subcategories: retail lenders and direct lenders. The only essential difference between them is that retail lenders offer financial products beyond just mortgages, while direct lenders specialize in mortgages. In other words, a retail lender might have deposit accounts, investing accounts and car loans, whereas a direct lender would not. Contrary to the large-scale approach utilized by mortgage bankers, portfolio lenders lend their own money by their own rules. This could be beneficial, as these lenders aren’t bound by the same strict regulations and investor interests that mortgage bankers often are. If you need a jumbo loan, it might be easier to get one through a portfolio lender. Hard money lenders are typically the last chance for homebuyers that can’t seem to qualify with either a mortgage banker or a portfolio lender. Mortgages from these lenders tend to have high interest rates and minimum down payments, though. As a result, investors looking to fix and flip properties on a short-term basis are their most common customers. Like their name indicates, wholesale lenders provide funding loans to banks, mortgage brokers and other outside lenders. This means that wholesalers do not work directly with homebuyers, but rather they help to facilitate the entire mortgage process on the back-end. In many cases, you’ll see the name of the wholesale lender listed on your mortgage paperwork rather than your broker. Once your mortgage is complete, a correspondent lender will look to sell it to a sponsor, which is an external investor. In order to purchase a loan, sponsors must ensure that it meets their criteria. Many times the buyer will end up being either Fannie Mae or Freddie Mac. By selling the mortgages, correspondent lenders are basically guaranteeing they make money, as the chance that a homebuyer defaults is eliminated. Mortgages can be really helpful if you want to buy a house and can’t afford the total price upfront. 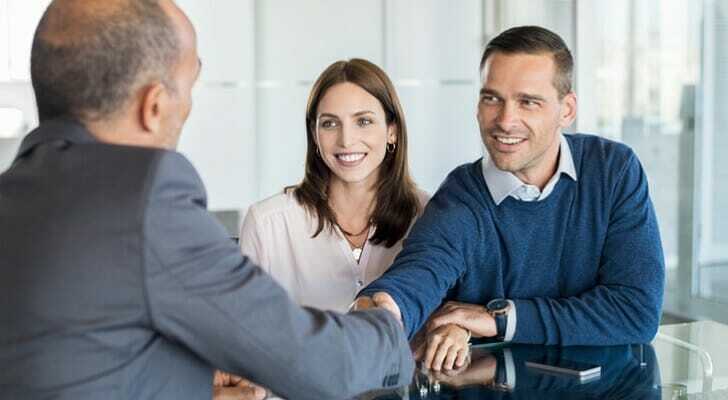 Though the types of lenders that offer them vary, it’s ultimately up to you to decide whether a specific mortgage, or lender, is for you. In turn, it’s imperative that you scour the market so you can be sure whatever loan you settle on is the best choice. Did you know you that if you’re at least age 62, you can actually borrow against the equity you have on your home and use the extra savings to fund your retirement? This process involves a reverse mortgage. Sometimes it’s better to seek expert advice on financial matters. If you’re thinking long-term, consider working with a financial advisor to help you map out and manage all of your assets. SmartAsset’s matching tool can help you find the advisor that’s perfect for your financial needs. To get your matches, simply fill out our quick personal finance questionnaire about your current situation and goals for the future. The post What Is a Mortgage and How Does It Work? appeared first on SmartAsset Blog.